A village in the district of Pereyaslav, government of Poltawa. Its population of 10,000 embraces about 1,000 Jews. Of the latter, 157 are artisans. Instruction in the Talmud Torah is imparted to 114 Jewish children, the remainder attending five elementary schools. 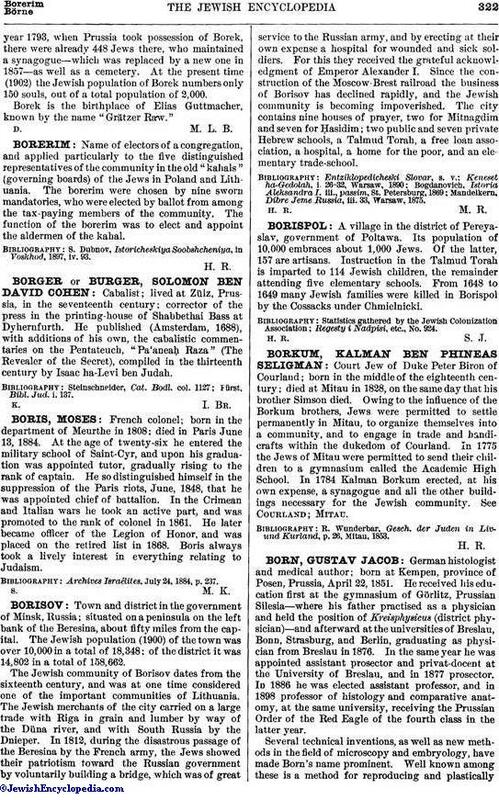 From 1648 to 1649 many Jewish families were killed in Borispol by the Cossacks under Chmielnicki. Statistics gathered by the Jewish Colonization Association; Regesty i Nadpisi, etc., No. 924.